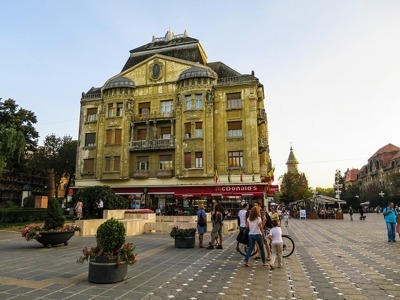 Timisoara, one of the Romanian cities, attracts visitors with its wide diversity of historical and cultural monuments, which are of great significance. If you organize your trip efficiently then you will have enough time to have a look at the most popular tourist sights. Visiting Timisoara and not seeing Timisoara Orthodox Cathedral, Piata Unirii, Piata Victoriei, Poses Park, Timisoara Historical Center, or the Bruck House may be a waste of time. To make your journey even more interesting then you may consider visiting this city with a large group of people. 8rental has gained credibility amongst its customers. Due to our minivan or bus rental reliable services, we have built not only sustainable partnerships but also long-term relationships with our clients. 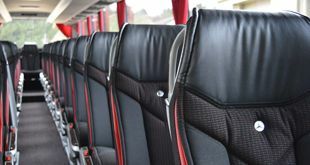 Hiring a bus from 8Rental, for instance, you will be provided with a wonderful model at a sensible price range. We are one of the European minivan rental suppliers that thousands of clients across Europe have no doubt. Once entrusting us, you are sure to become a constant client and get bonuses quite often. So, book a vehicle in Timisoara by requesting a quote right now! To make sure you have also no doubts let us introduce you to the main cores of 8Rental. 8Rental cares for the budget of its clients. Unlike the rest of car rental services, we do not charge astronomical prices for hiring a vehicle as our focus is not mainly on getting a fast profit. Instead, we strive to get a high customer-satisfaction level from as many clients as possible. We do provide wonderful coaches and professional drivers but we also want to make your cooperation with us cost-effective one. Hence, the prices we have set on hiring any coach from 8Rental are impressively low! Besides, the fuel for the whole tour is included in the price of the offer! We are also in charge of the taxes that may appear in the order. Dealing with 8Rental and having your order proceeded, you will get the precise cost of your tour with no hidden fees! 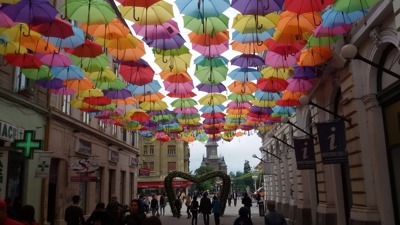 Rent a chauffeur-driven bus in Timisoara in a cost-effective manner. 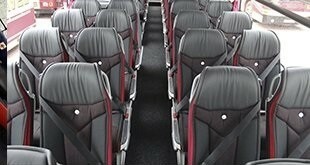 8Rental features a huge fleet of diverse coaches to suit any client's requirements. Before you hire a coach with a driver in Timisoara, it's important to choose the right model. If you are meeting a relatively small group of people in Timisoara, it will be wiser to select for hiring a comfortable and compact minibus with a driver such as a Mercedes Sprinter. This vehicle is offered for rental at a cheap price, yet features a series of primary specs including comfortable seats and armrests, tinted windows, carpeted floors, audio system, air conditioning, etc. If you want to drive your passengers in a somewhat more luxurious coach, why won't you consider booking a Mercedes Sprinter VIP? Accommodating around two dozens of people, this coach is super comfortable and looks luxurious! It comes with perfect specifications to drive passengers long distances in Timisoara with no hustle and bustle! Nevertheless, most clients request larger vehicles and 8Rental is proud to provide to its clients fabulous Mercedes Tourismo standard and Mercedes Tourismo VIP buses with a driver! These coaches can drive up to sixty-five people. Both models are packed with fantastic comfort amenities including toilets, small kitchens with fridges and coffee machines, as well as soft and convenient seats, air conditioning, central heating, and so forth. 8Rental has employed a staff of reliable experienced drivers and user -friendly CS operators. All of our licensed and highly qualified drivers have years of expertise in bus driving and passenger transportation. All of them are well aware of the city roads and find all the right directions easily. You have an option to hire a German, French, English, Italian and other languages speaking chauffeurs from 8Rental. Our final advice will be: Before making a deal with a car rental service, it's crucial to find out whether the vehicles are in good condition, the drivers are dependable and the prices are reasonable. Surely, the safety of your passengers is priceless, yet if there is a chance to get high-level services on an affordable basis, why not make use of it? Rely on 8Rental and together we shall make the tour a fairy tale for your tourists!